As a top advertising specialties company, we often receive requests for a promotional products catalog. It could be a client looking for pens, mugs, hats, shirts, mousepads, calendars, or any one of our hundreds of thousands of items. The site that you are currently visiting is more of a catalog of deals, limited time offers and specials. If you're looking for the full breadth of our promotional items selection, click here to view and search hundreds of thousands of items. 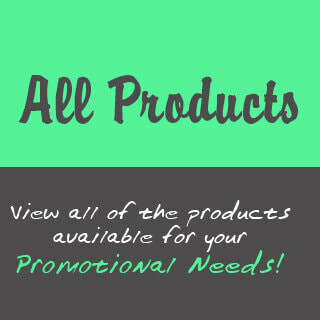 AdSpecialtyProducts.com has deals that you literally can't get anywhere else. This includes industry specials and insane deals such as free shipping on tons of products. This site is all about the meat and potatoes, the deals that many top businesses all over the USA search for on a daily basis when they are looking to get a great price on hard to find promos. If you stumbled upon this site via Google search, already know what you want, or are open to suggestion and want a great deal, this is the perfect site for you. We don't even advertise this site and still receive advertising specialty orders on a daily basis because it's generated quite a buzz. AdSpecialtyProductsCatalog.com is the higher tech side of things -it has the most up to date products (hundreds of thousands), inventory, and automatically updated pricing that features easy to use searching and ordering. If you're still in your brain storming session and want to see ALL of your available options, check this site out and wow your marketing team with your sourcing skills. Both of these sites are backed by the best customer service and art department in the business. The vast majority of times, you can call or email us for a sample completely free of charge for most businesses, schools, municipalities, and organizations. Our ease of use has made us a favorite with major universities, banks, financial institutions, exotic car manufacturers, and various branches of the military. If you ever run into a question that can't be answered by our websites, or you'd like a print version of a specific catalog for a certain category, call 401-451-1874 or email sales@adspecialtyproducts.com for fast, friendly promotional products catalog service.